Five more schemes have had SimplyUnite Gem installed after the successes at Trafalgar Quarters, Greenwich Court and Greenwich Place. We look forward to supporting them as they introduce the wonders of the internet to their service users. September sees the launch of SimplyUnite's Gem version 3 with all new personal webpage and sustainability features. We are now on G-Cloud! Connect is now fully integrated into Allpay so you can take payments from your tenants directly through your app on their mobile phone. Payments use your existing PRN numbers so nothing changes other than giving your tenants an even easier way to pay. September sees the launch of SimplyUnite's Gem version 3 with all new life story and sustainability features. 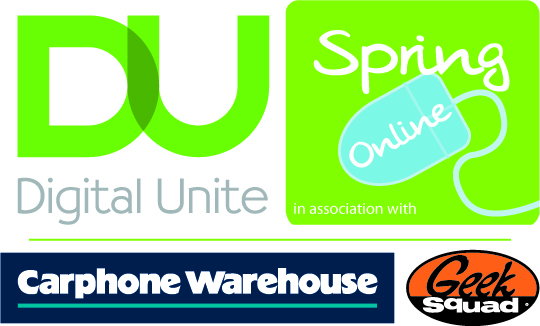 SimplyUnite is always keen to shout about the work Digital Unite delivers especially during their Spring Online Week. SimplyUnite have launched Connect, a mobile phone app for iPhone and Android phones which helps social landlord and their tenants to stay connected and communicate more efficiently. See how we did in Nominets' Award for Most Innovative Internet Business. Nominet has announced the winners of the 2012 Nominet Internet Awards, which includes a series of Internet safety sketches from the CBBC Horrible Histories team, a website educating youngsters about AIDs and HIV, and a free online service that helps those below the poverty line gain easier access to benefits. New IT equipment installed at St Cecilia's is dramatically improving the way they stay in touch. It was a lovely day in York for the Great British Care Show where it was a real joy meeting care workers and home owners whilst delivering a talk on improving residents lives with the help of the internet. Well done everyone in arranging another great show. Welcome to Glenhurst Manor care home who are now online with SimplyUnite Gem. As of 15th March 2012 SimplyUnite Gem is in over 350 care homes giving more than 10,000 residents access to the internet, email messaging and video calling. If you have friends and family at these homes contact us and we'll help you get in touch families@simplyunite.com. To help bring families together SimplyUnite have launched a mobile phone app for the iPhone and Android phones. Families can link to their loved ones in care homes and send messages and photos directly from their phone. Bloomin' eckers. This is totally MINT! SimplyUnite were glad to be able to contribute to this wonderful event which explored the future demands that delivering personalised care means for Norfolk. Our MD Toby Hart delivered a seminar on using Technology to deliver excellence in care to 250 service providers, service users and commissioners. 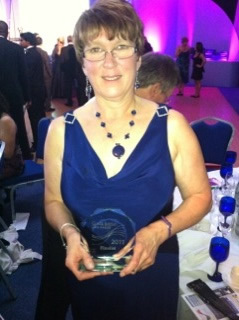 Hazel sparkles at Great British Care Awards! The SimplyUnite team would like to congratulate Hazel Carelton for reaching the finals of the Great British Care Awards - East Midlands. Hazel, Care Home Manager for Holmleigh in Navenby, was shortlisted for the Care Innovator Award for her introduction of SimplyUnite Gem computers for residents and staff at the home. Thanks to her enthusiasm and encouragement, residents are enjoying browsing the wonders of the web and emailing and Skyping loved ones as far as South Africa, Australia and South America! Well done Hazel! 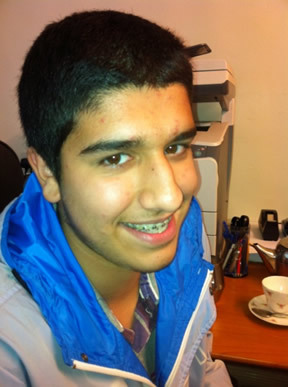 A big welcome to Hamed our new 'Learning for the 4th Age' volunteer! He will be working with residents at Croft Acres on the SimplyUnite system, introducing them to email, Skype and the wonders of the web! Learning for the 4th Age are an organisation who aim to provide educational and learning services to older people living in residential care. They will hopefully be working with more of our homes around the Sheffield, Leeds and Leicester areas in the coming months. We are delighted to be partners of Race Online 2012, the campaign to get the 9 million digitally excluded people in Britain online by 2012. Race Online 2012 is lead by Martha Lane Fox, here Martha explains the aims and ambitions of the campaign.